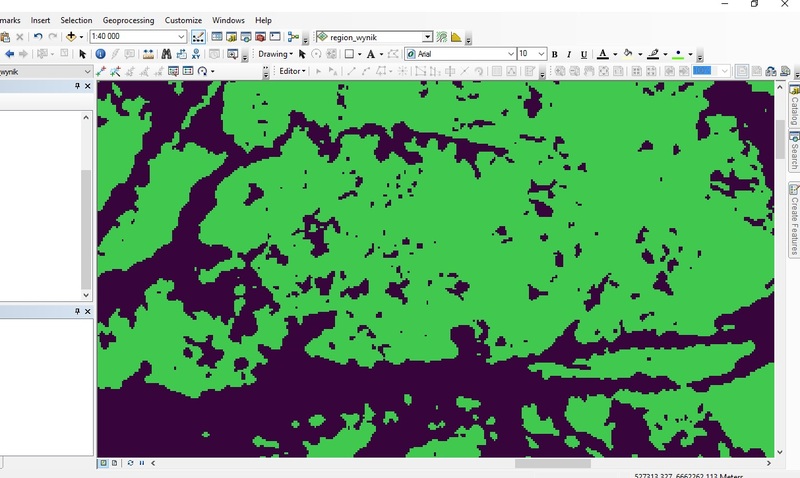 Getting rid of small objects on raster in ArcMap? What I want to do is to get rid of 'dark' objects which are on the green areas. Raster value of green is 1, the rest has 0 value. As You can see - I have the result, but i don't know wich tool in ArcMap I should use for this? You can use the Majority Filter to remove cells that are surrounded by your green cells. This would also influence the boundary of your dominant green area as this tool works a local level. You give no indication of the size of the is problem, is it the whole of Brazil or an area in a small Icelandic national park? You should always state that sort of thing in your question as it will dictate any answer. Having said that I can think of one approach, I'm sure there are others. Convert you binary raster to a polygon dataset, go into edit mode, select the polygon with the holes and then delete out the interior rings via the sketch properties window. Not the answer you're looking for? Browse other questions tagged arcgis-desktop raster arcmap spatial-analyst map-algebra or ask your own question. 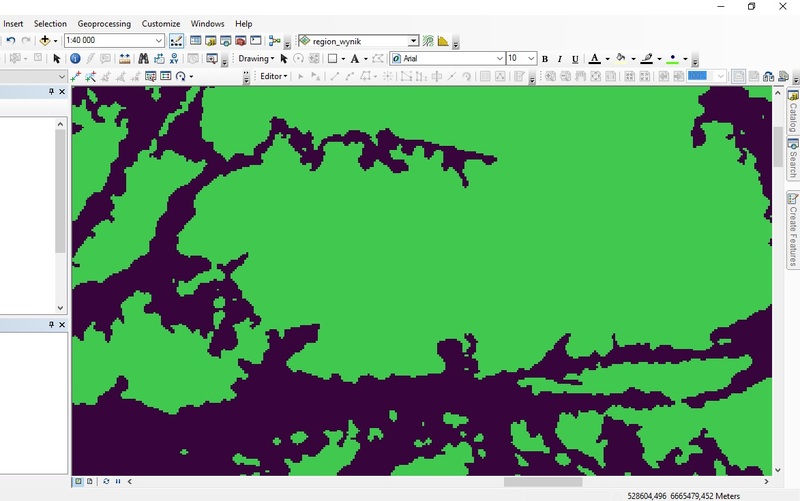 Using sieve filter in ERDAS Imagine and/or ArcGIS for Desktop? Visibility analyses of two objects with ArcMap? Clip raster by raster in ArcMap?